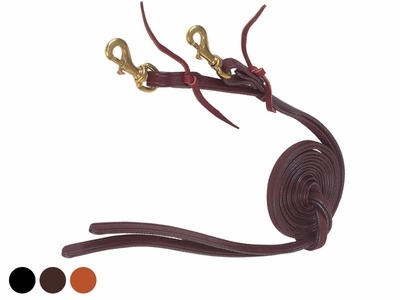 Tucker's durable bridle reins are oiled and hand finished with rolled edges for rider's comfort. Snap and detachable water tie flap at bit end. At least 7' long each.